In the 90s you were Chillin’ or Chilling out, you knew what was hot and what was not and you were ready along with Lara Croft for the next email scam. Spam wasn’t in a tin any more and you were ready for the 2YK bug.The 90s was full of promise as you imagined the new space age lifestyle was just around the corner. You were all getting dressed and ready to party like its 1999! 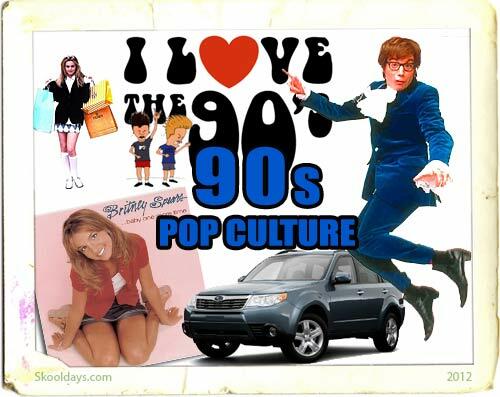 This entry was posted in Pop Culture and tagged 1990 by Skooldays. Bookmark the permalink.